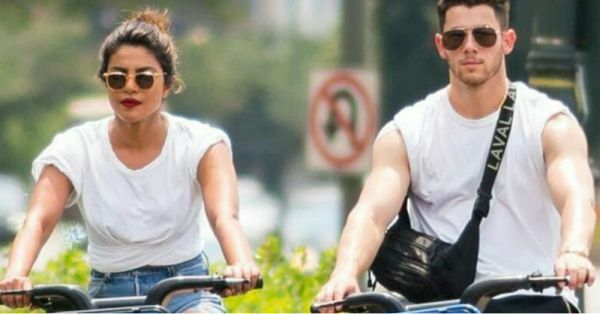 Priyanka & Nick Twinning, Holding Hands & Biking Around Is The Cutest Thing Ever! The past couple of days have gone by in a frenzy with Hollywood taking a break for the 4th of July, America’s Independence Day. From chilling on a yacht to just spending time with their families, 4th of July was about celebrities getting real downtime, just like us! Speaking of which, our favourite couple ATM also had quality couple time on the cards. 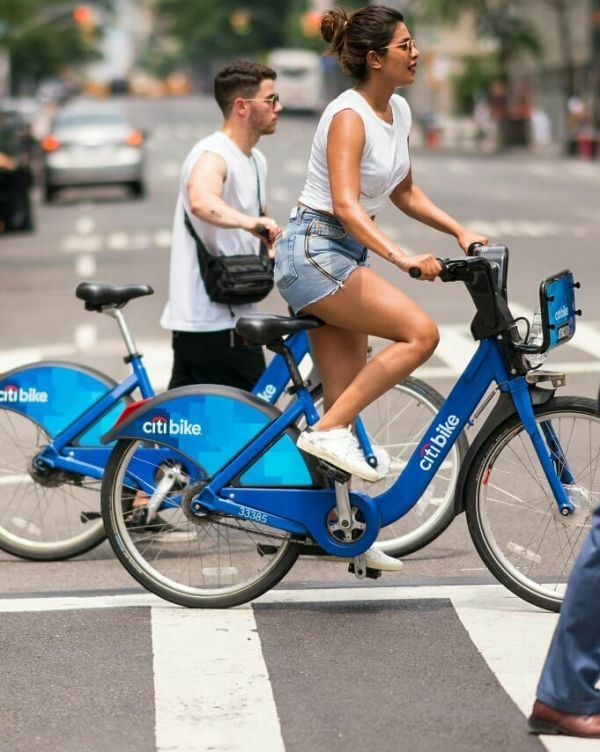 Yes, Priyanka Chopra & Nick Jonas, who’re allegedly dating confirmed their romance by being totally cute on the streets of NYC. The day started with Priyanka Chopra spotted in the classic casual get-up - a white twist detail cropped tee, denim short-shorts, black sunnies and white trainers. 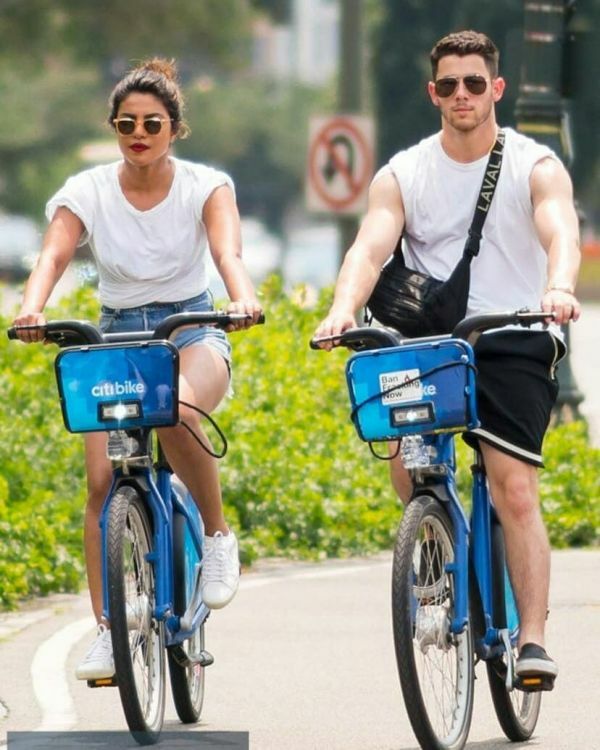 She was then joined by her musician beau Nick Jonas who was also wearing white with a black belt bag on his back and black shorts. We also noticed that PeeCee later swapped her sunnies to match them with Nick’s. How cute is that?! Twinning FTW. Psssst. Not only did they twin, they also finally took their relationship public by - excuse me while I ‘awwwwww’ - holding hands and being adorable on the streets of NYC. Looks like things are getting serious. I mean holding hands AND twinning. Those are a big deal. Another knot detail on Priyanka's tee. To be fair it was a hot day and looks like Priyanka’s was even hotter with her smokin’ man by her side. The couple made a date out of it by renting bikes and riding them together around the city. Now, this is couple goals and I mean, real couple goals. Good on you, PeeCee!